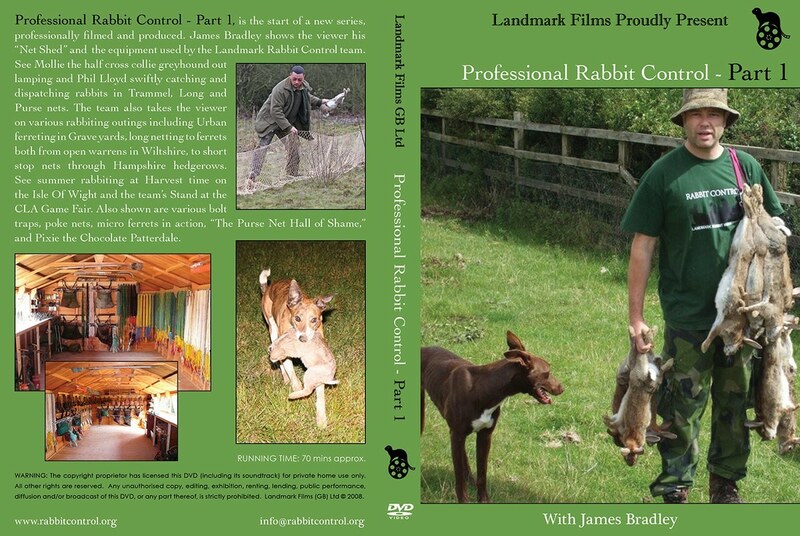 Our DVDs cover many aspects of fieldsports including Ferrets & Ferreting, Rabbiting, Lurchers, Terriers, Longnetting, Trapping and shooting to list a few of the subjects. All the DVDs have been professionally filmed and provide both instructional and entertaining viewing. 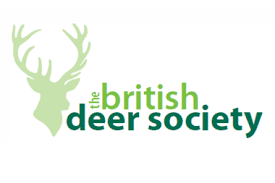 Special Offer – DVDs only £7! If you do not wish to purchase online, please call 01425 477259 for further payment methods. Jimmy Smith and Frank Sherred, two old time professional rabbit catchers, both in their 70’s, who have seen it all! They were brought up rabbiting from an early age, with the rabbits they caught feeding their families. Professional Rabbit Control – Part 1, is the start of a new series which James Bradley shows the viewer his “Net Shed” and the equipment used by the Landmark Rabbit Control team. The Landmark Rabbit Control team return once again and we are first escorted around the vast “ferret ranch” with James Bradley, viewing the various styles of working ferret, including the rare micro greyhound! 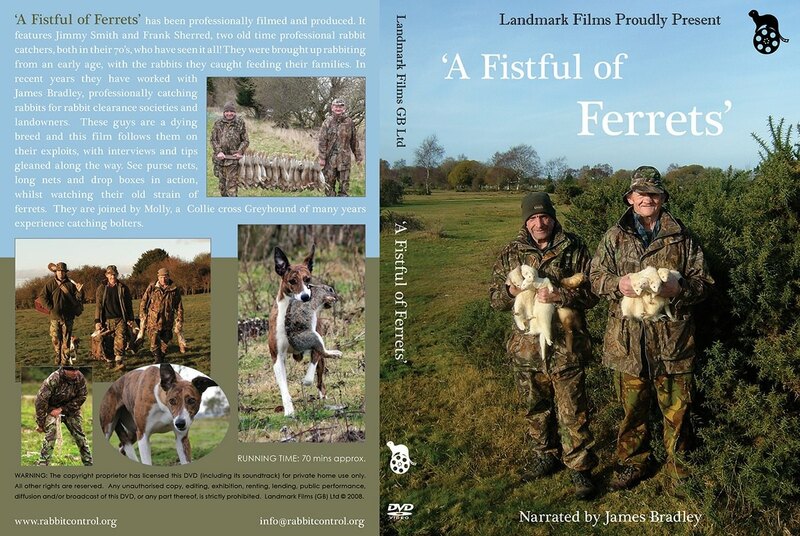 One of the first professionally made ferreting & rabbiting DVDs & still regarded as the best…..filmed in the early 90’s see a young Phil Lloyd A his dogs, the legendary cattle cross ‘Speckle’ & his Bedlington terrier. 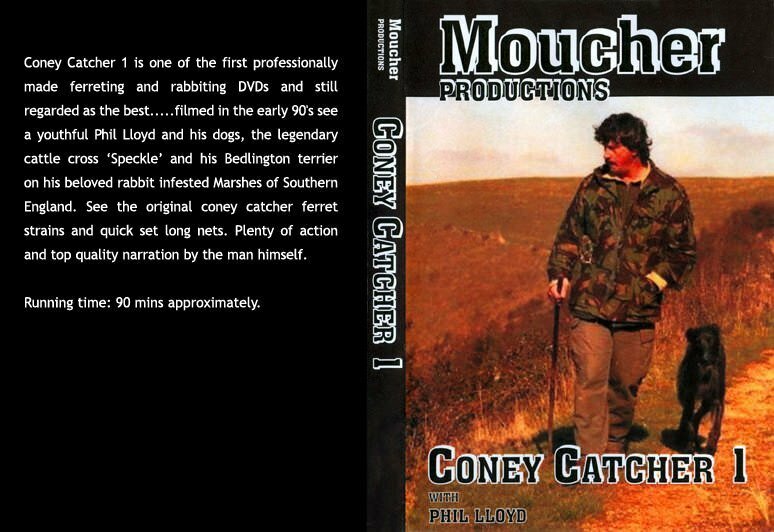 The benchmark in ferreting films, made in the early 90’s, professional rabbit catcher, Phil Lloyd tackles a rabbit clearance job on a Hampshire stud farm, showing poke and purse nets and plenty of digging. Filmed in the early 90’s, is the story behind Phil Lloyd’s breeding of Australian cattle dog greyhound lurchers. See a young pup, ‘Bliss’ being educated on a pheasant shoot, out lamping & first days out with the ferrets in Sussex.